Mezco Toy's notorious Breaking Bad Saul Goodman wearing his iconic pinstripe suit and forever yelling into his wireless earpiece. 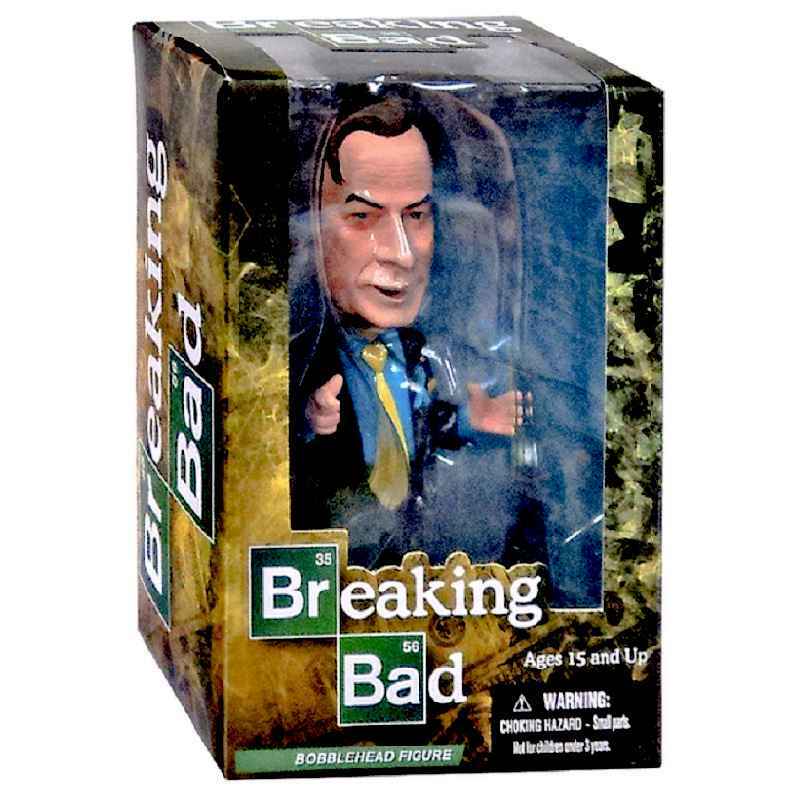 Check out Mezco Toy's Bobble Head featuring the notorious Breaking Bad Saul Goodman wearing his iconic pinstripe suit and as usual, forever yelling into his wireless earpiece. 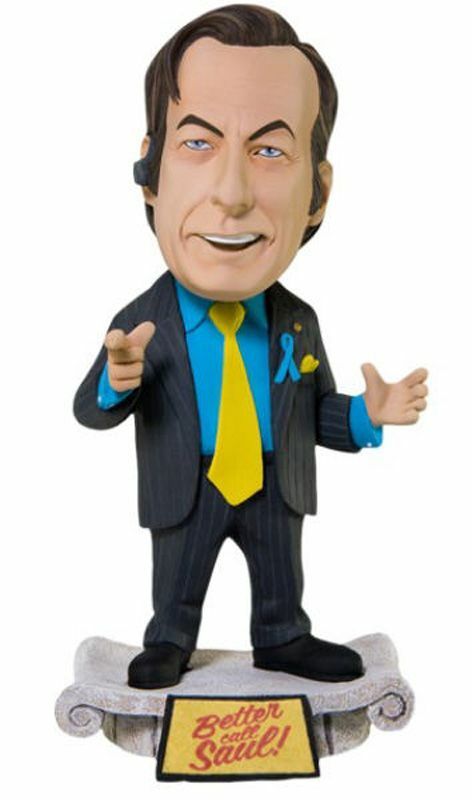 Saul is standing on a classical plinth reminiscent of the columns he has in his office and the complete height is 6" tall, features bobble action and comes complete in a collector friendly box.